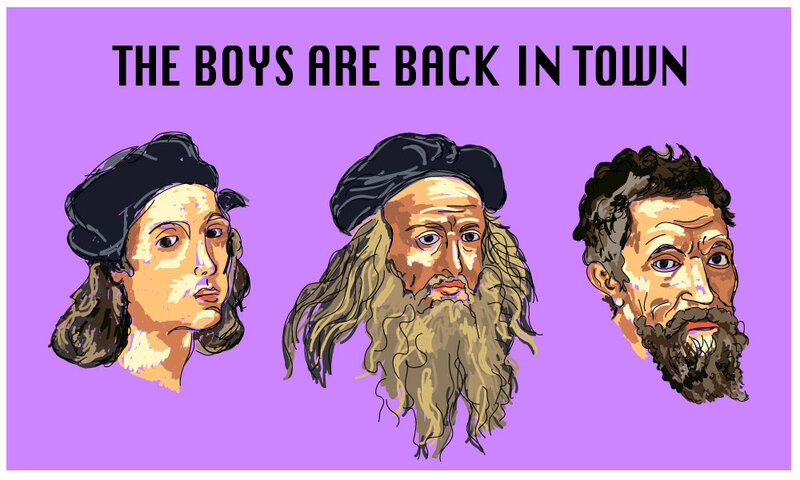 Michelangelo’s most famous work doesn’t show us anything about the life of the artist himself. For those works, he had to understand suffering first. 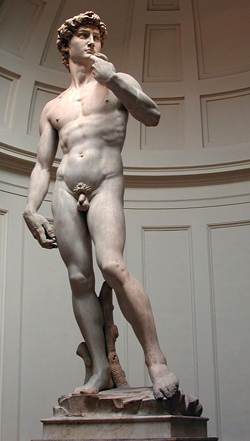 Michelangelo’s David is a large sculpture. He’s close to 17 feet tall. 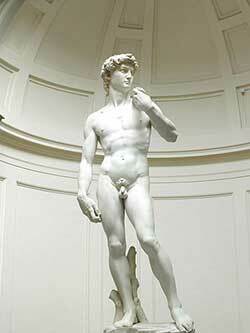 Since 1873, David has stood on a large pedestal at the Accademia Gallery in Florence. The pedestal makes him seem even taller than his 17 feet. It is strange, really, that David should be so tall. As everybody knows, Goliath was the giant, not David. David was more or less a little guy. He was a youth, and ruddy, and of a fair countenance, as the Book of Samuel tells us. David manages to kill the giant Philistine warrior Goliath by hitting him in the head with a stone. Then David takes the giant’s sword and chops his head off. Saul, king of the Jews at the time, wonders, “Who is this kid?” That’s the biblical story of David and Goliath.